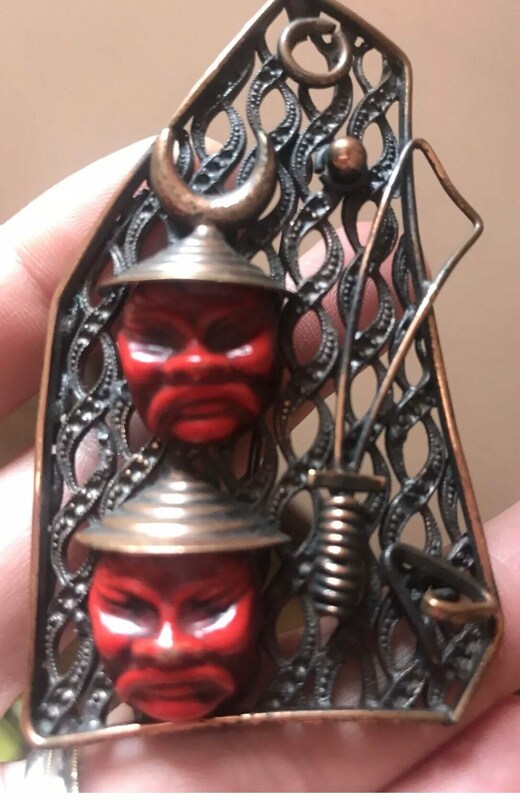 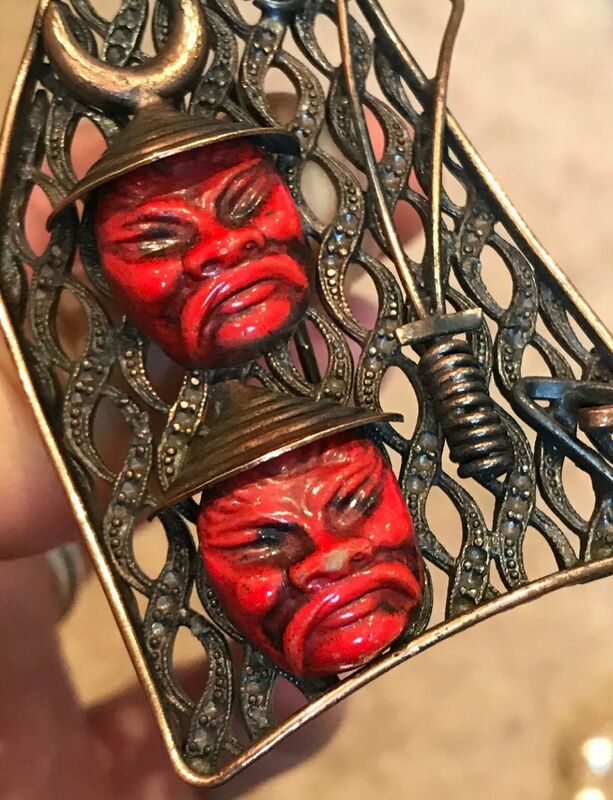 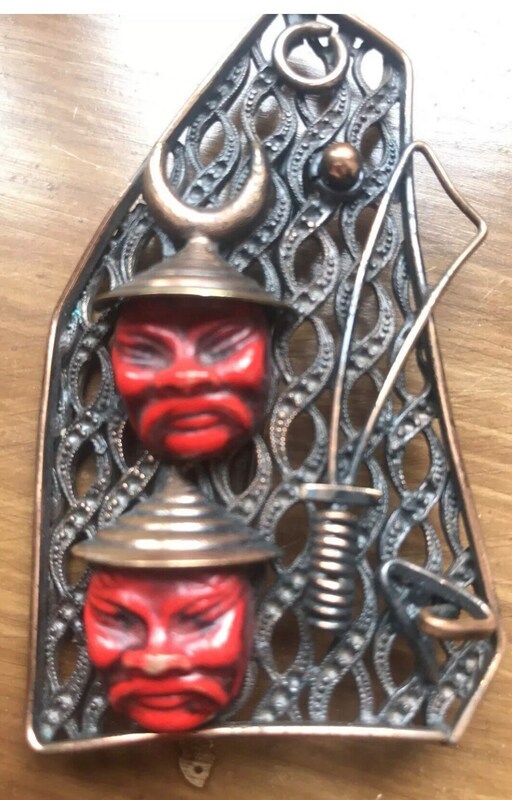 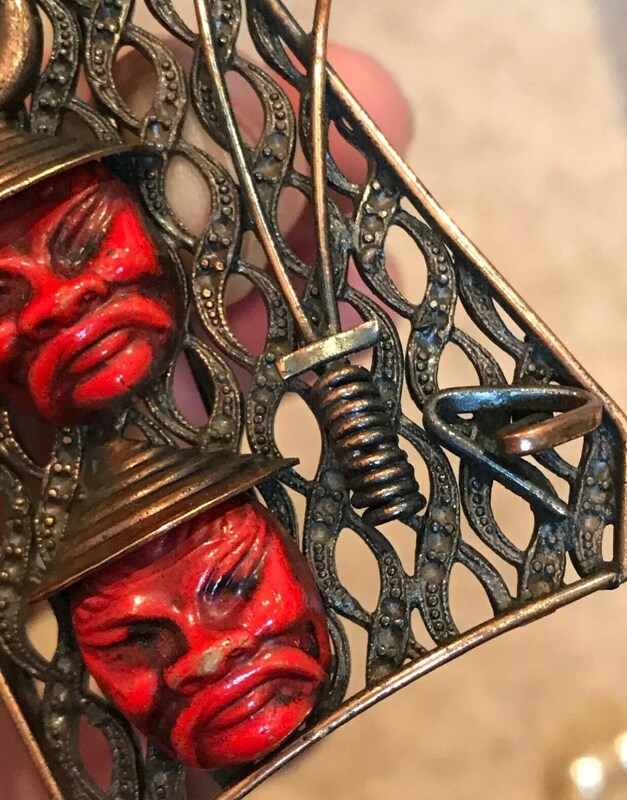 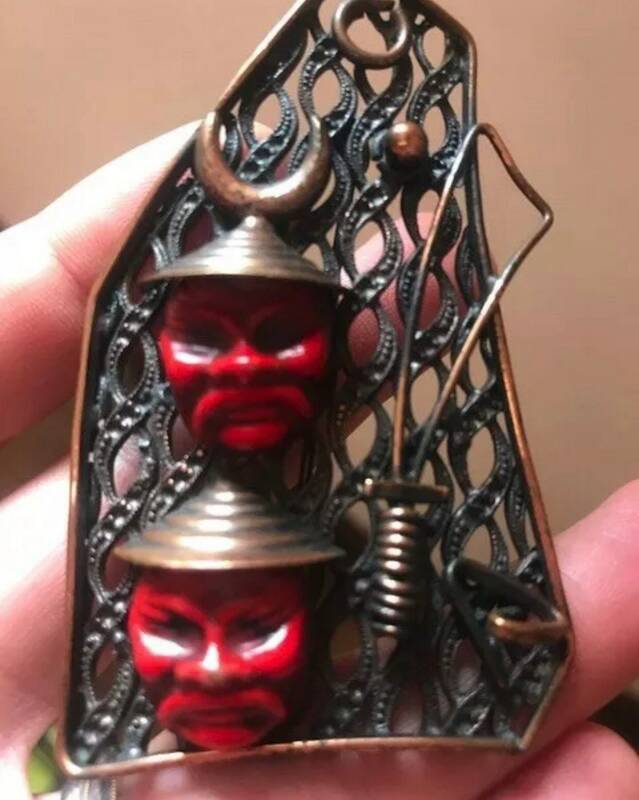 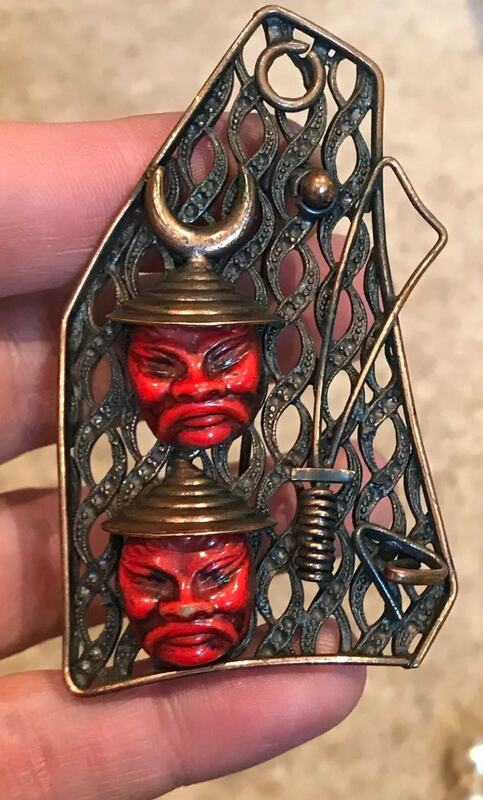 Unusual Vintage Asian Warriors and Sword brooch maybe mongolian. 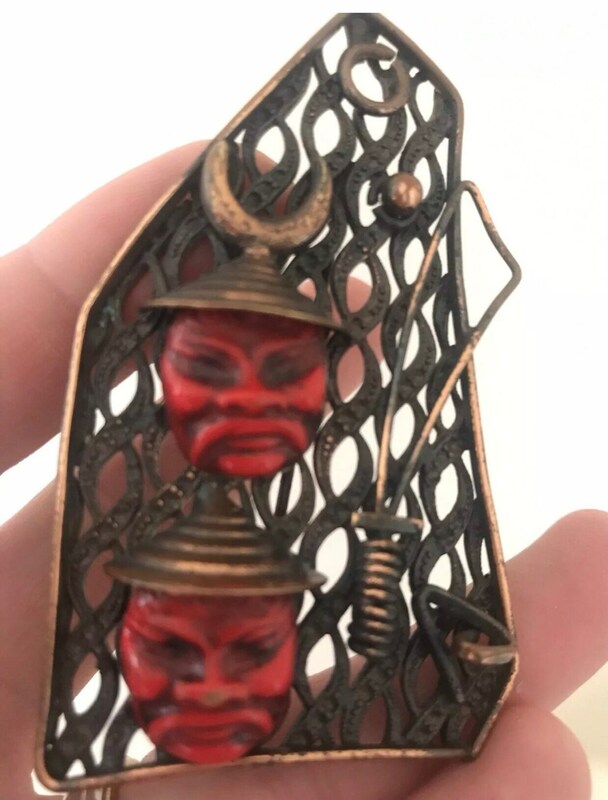 It measures approximately 8 by 4cm. 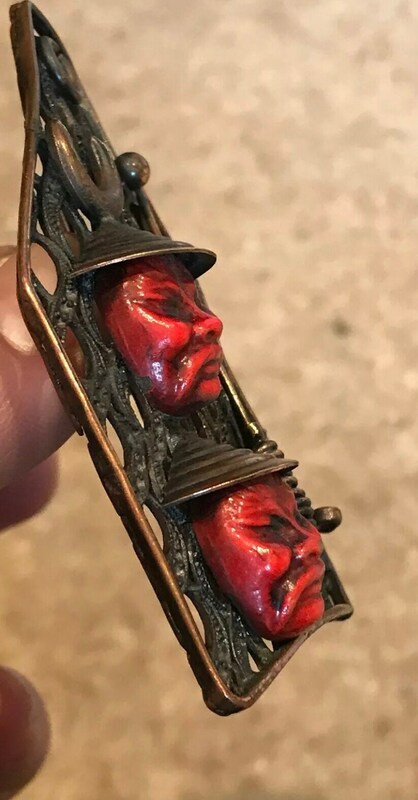 Fastens with trombone clasp typically of the 1920s although I think this is probably later, it features red glass warriors set on bronze coloured metal frame work. 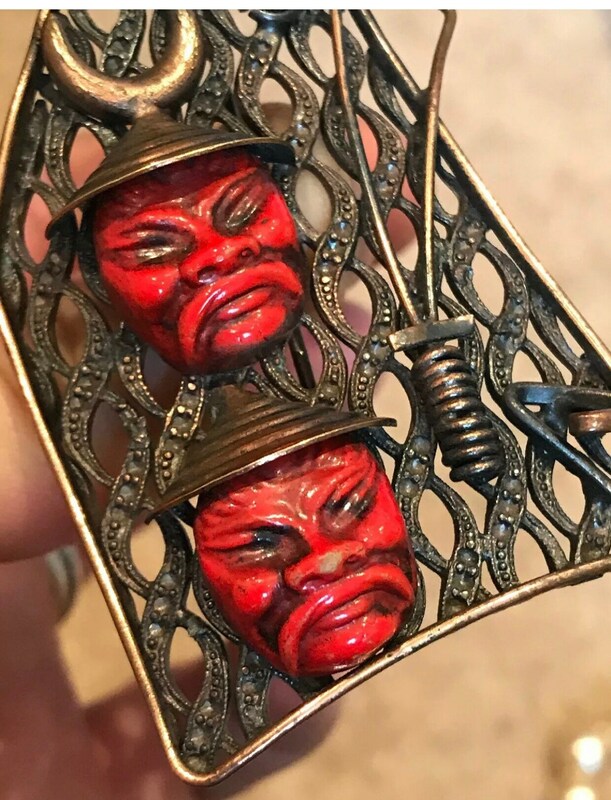 In excellent condition a tiny scuff to the nose of one of the warriors.